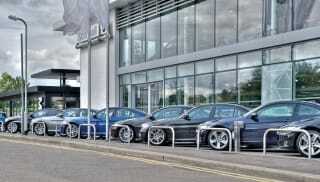 For effective demarcation of walkways and car parking security, Marshalls’ range of steel hoop barriers provides sturdy protection in a number of clean and versatile designs. Hooped street barriers help to control vehicle access, and are commonly used to act as perimeters around designated car parking areas. The size and shape of hoop barriers also allow for the secured fixing of bicycles and scooters to help prevent theft or damage. 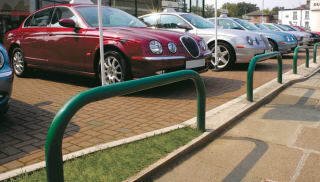 We offer a number of RhinoGuard certified steel hoop barriers among our range of street furniture products, to ensure a secure perimeter around the likes of retail parks and showroom forecourts, where protection is of paramount importance.As well as permanent installation, you can also choose from a number of detachable steel hoop barriers, suitable for events or other temporary exclusion zones. Find out what street furniture can do for your project by exploring our case studies section.